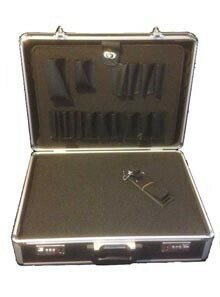 This lockable hard-shell case is guaranteed to keep your valuable toys protected, no matter where you go! 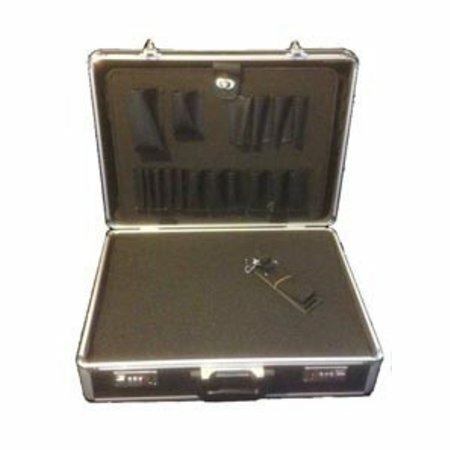 This case includes "pick and pluck" foam inserts that allow you to create the spaces you need to keep your fragile toys safe and secure, while having a clean and polished look. The tool tray is perfect for storing all those tiny little odds and ends that you've accumulated, and there is plenty of room behind it for larger items like body contacts and foot pedals.